The Traffic Management Act 2004 (section 86) introduced to protect dropped kerbs from parked cars. 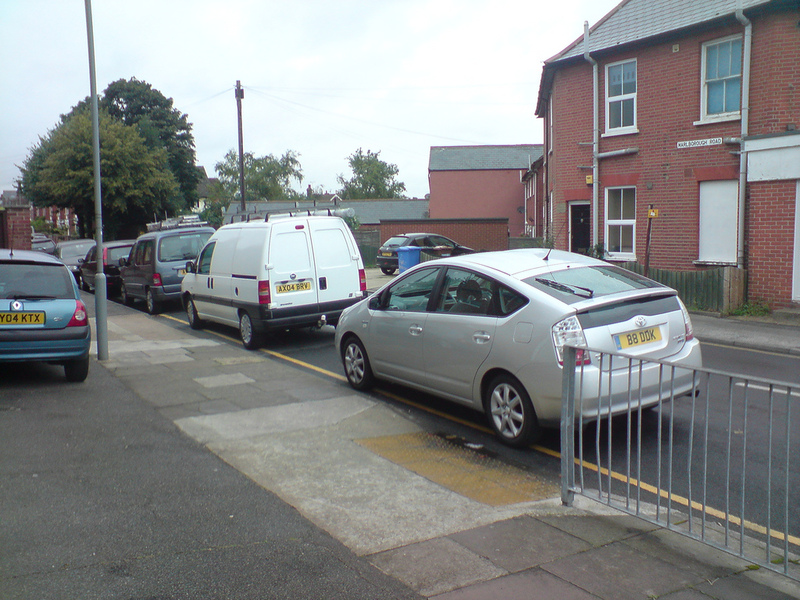 It also covers places where the carriageway has been raised to meet the level of the footway for the same purpose. Conveniently for motorists the same regulatory change appears to allow home-owners to ‘claim’ the highway outside their house for their own private us! 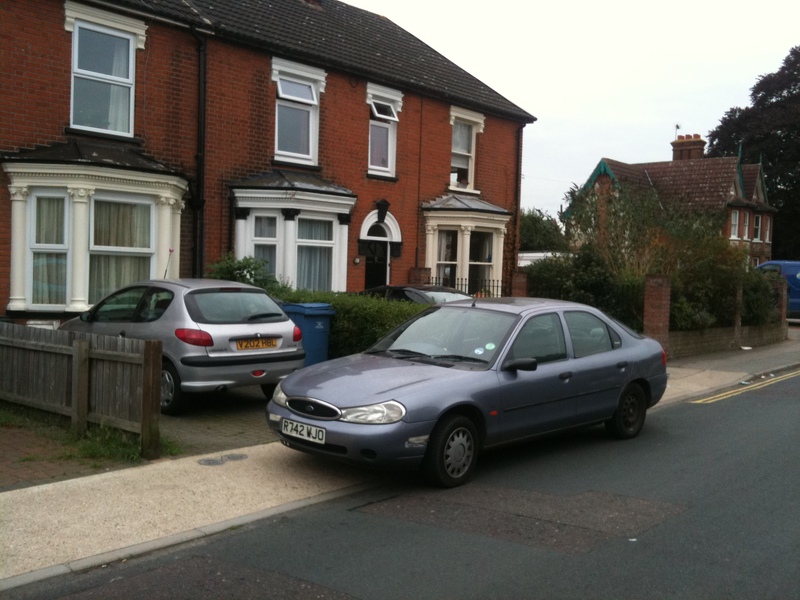 Our authority explains ‘If you find an inconsiderate motorist blocking the dropped kerb access to your home you can get in touch with Ipswich Borough Council’s Parking Service and action will be taken’. Finally… this car is not covered by the 2004 Regulation because it is not on the carriageway and my authorities would probably consider that it was not current obstructing anyone! In the above photo notice, yet again, a roadways sign that is obstructing the pavement. 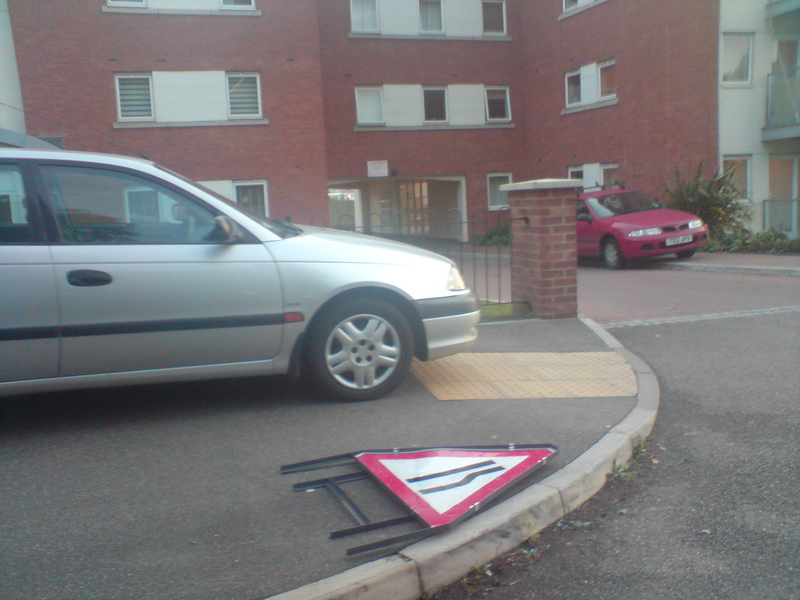 See my post about obstruction warning signs that cause an obstruction! ← Cycles parked on the pavement are a health and safety issue, Range Rovers are not! You seem to be missing the point of dropped kerbs,Dropped kerbs outside residences are there for the benefit of the property owner,not the general public,which is why residents are not prosecuted for parking on their own dropped kerb,One cannot commit an offense against oneself..and neither can a visitor to their property.Workmen and delivery drivers may park on dropped kerbs too,dropping off and picking up is allowed too and most local authorities don’t have special enforcement areas in all places of their boroughs,so most dropped kerbs cannot be enforced as a parking offense. Needless to say, this blog is focused on creating good laws that are effectively enforced. Thank you for the information, we will highlight the need to get notices formulated correctly. 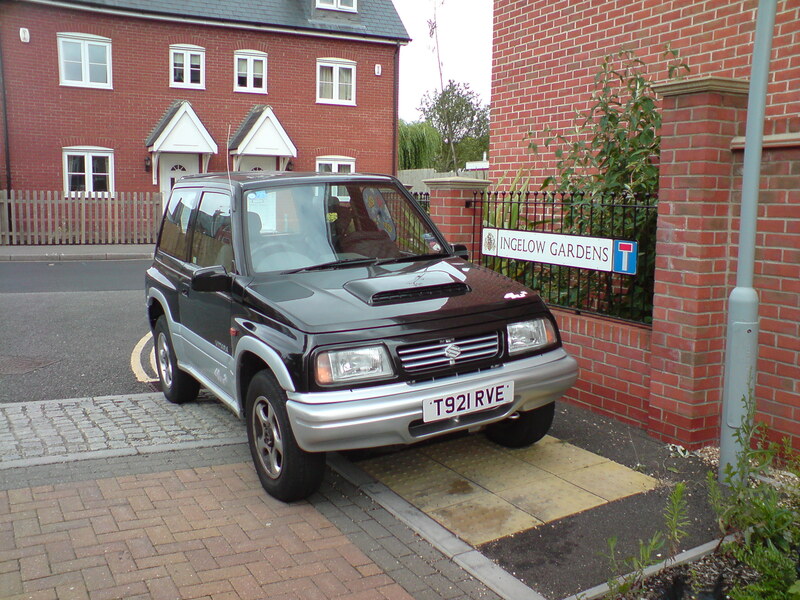 By way of clarification re the earlier comment – dropped kerbs for accessing private property can be blocked with the permission of the property owner unless there are other regulations that prohibit this. 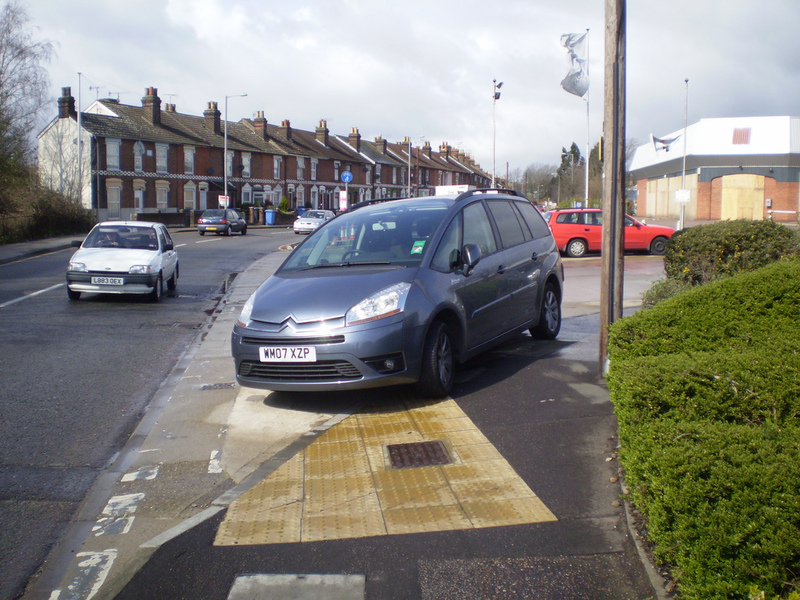 Dropped kerbs used by pedestrians to cross the road must however not be blocked. What is the situation where a householder with a dropped kerb has fenced off the access to his front of house space. Can he still claim the space on the public road is his private parking space?